Alec is especially interested in restoring people’s smiles and dental function using dental implants. He was one of the first two people in Ireland awarded a Diploma in Implant Dentistry from the Royal College of Surgeons Edinburgh (D Imp Dent RCSEd). 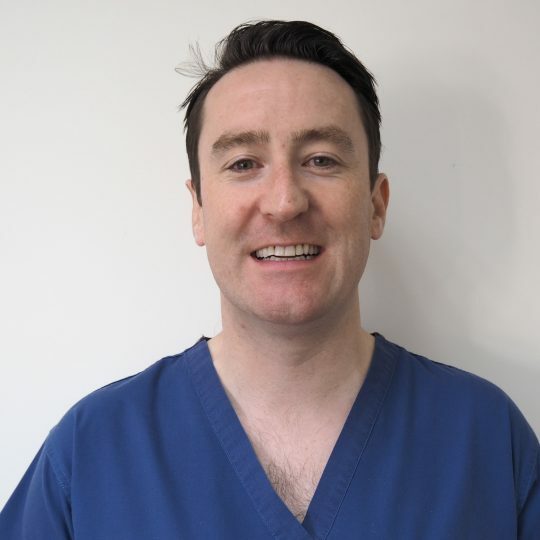 Alec has a keen interest in all aspects of dentistry and regularly attends courses both in Ireland and abroad to keep his skills and knowledge base up to date. As a recognised provider of the 6 month smiles system, he can help you achieve the cosmetic dental result you desire. He has been admitted as a Member of the Faculty of Dental Surgeons at the Royal College of Surgeons Edinburgh (MFDS RCSEd) is a member of the Irish Dental Assocation (IDA) and also the Society for the Advancement of Anaesthesia in Dentistry (SAAD). Alec grew up down the road from the practice in Ballsbridge. Away from dentistry he is an avid Leinster rugby supporter and tries his best to play squash and tennis on a regular basis. 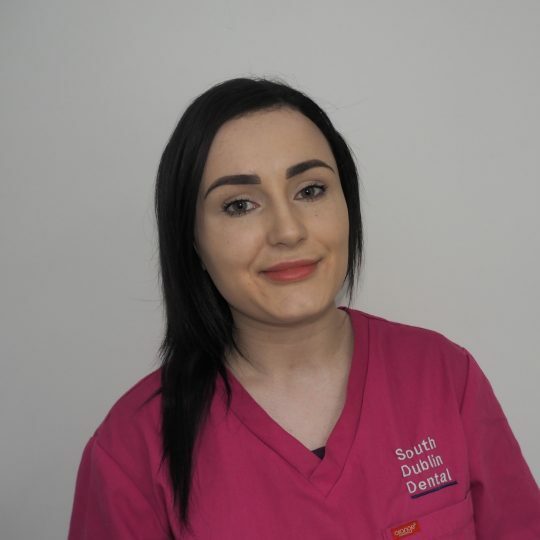 Hannah worked in Wales for 5 years and in a Dublin city centre practice for 3 years before Hannah started treating patients at South Dublin Dental in May 2014. Hannah has an interest in all aspects of Dentistry but especially root canals. As such, Hannah has completed extra training in this area of dentistry. She has completed a Masters degree in the study of root canals, MSc Clinical Endodontics. Along with Alec, Hannah was admitted as a Member of the Faculty of Dental Surgeons at the Royal College of Surgeons Edinburgh (MFDS RCSEd). Hannah provides facial rejuvenation treatment at South Dublin Dental having completed several courses over the past 7 years. 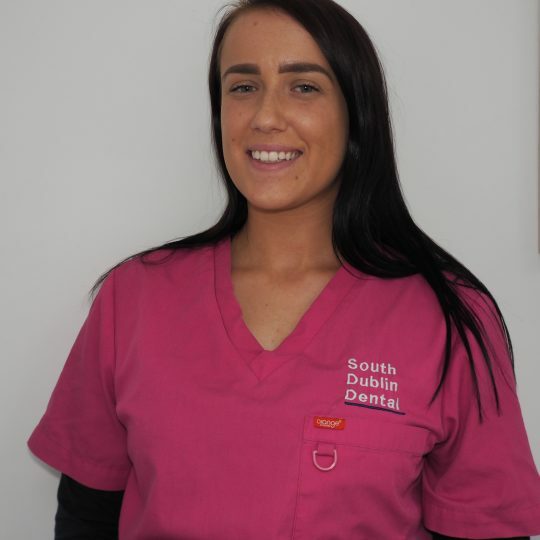 Stacey is our hygienist here at South Dublin Dental. Stacey’s role is to look after all the periodontal (gum) needs or our patients and to improve their oral health. Stacey has ten years’ experience working in the dental setting having previously qualified as a dental nurse in as well as working as a practice manager. Stacey felt pursuing a path as a dental hygienist was a natural progression from these positions. Stacey graduated from Trinity College as a dental hygienist. Through her years of experience in dentistry she has a natural ability to communicate well with patients and can asses and treat their individual needs. Outside of work she enjoys volunteering with various different charities and has been awarded in recognition for her services. Stacey is currently volunteering at Tiglin rehabilitation centre to offer her services to the dental needs of the residents. 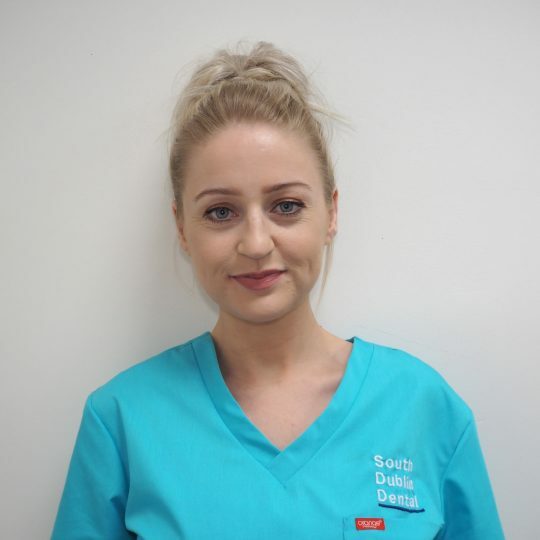 Katie is currently studying for her diploma in dental nursing at Dublin Dental Hospital part-time. Katie has a keen interest in all aspects of dentistry but her main interest would be oral surgery and endodontics. Katie’s role in the practice is Dental Nurse and receptionist. Bebhinn completed the NEBDN Diploma in Dental Nursing at the start of 2016. She has been working as a Dental Nurse since 2013. Her interests in dentistry include orthodontics and aesthetic dentistry. Bebhinn thoroughly enjoys working in the dental industry and finds it to be a very rewarding career. In her spare time, she enjoys going to concerts as she has a passion for music. Bebhinn’s roles within the practice include Dental Nurse and Receptionist. We offer a complete range of dental services from Dental Implants to Clear Adult Braces, root canals to general family dentistry all at very reasonable prices. South Dublin Dental is a dental practice in the heart of Foxrock village. We aim to provide a high standard of dental care in a modern and friendly environment. From very young to very old, we hope all will feel welcome at our Dental practice. We realise at South Dublin Dental that everyone has very busy lives. We are accommodating these busy lifestyles by opening early mornings and late evenings during the week. Every day of the week there are appointments outside office hours of 9-5. As well as having these convenient opening times, we have dedicated emergency Dental appointments available on a daily basis. Routine Dentist appointments are also often available on the same day. Here at South Dublin Dental, we are a fully digital Dentist practice and we hope to be able to pass on the benefits of being a digital practice to you. Radiographs will be faster and of a lower radiation dose, our intra-oral digital camera will show you what our Dentist can see inside your mouth, and reminders will be sent via email and text. Our competitive prices are updated on a regular basis. Situated in the heart of Foxrock village, come and see us today. So give us a call to find out if you can be seen today!